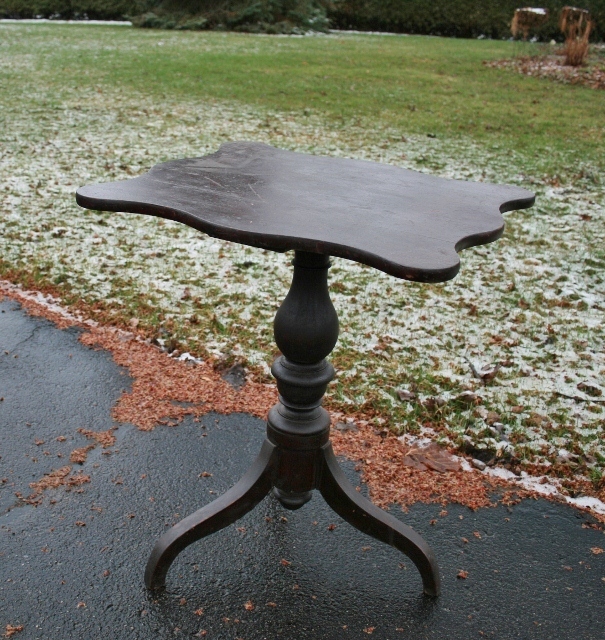 Collectivator :: Ontario Pedestal Table in Original Surface - SOLD! 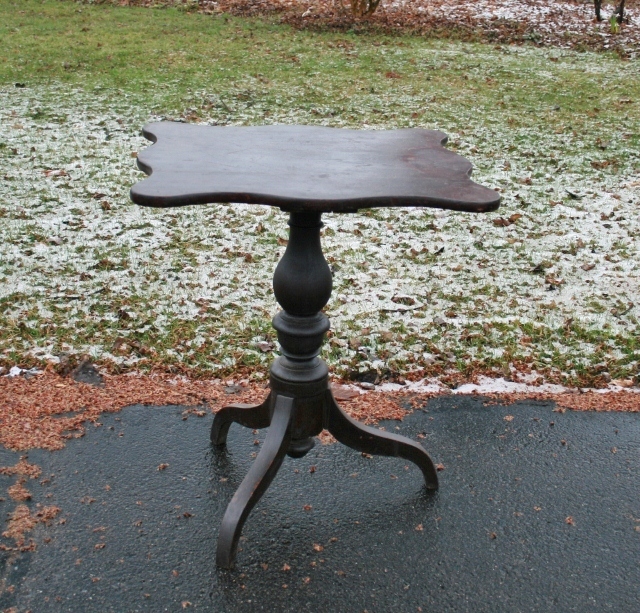 SOLD Ontario Pedestal Table In Original Surface - Sold! 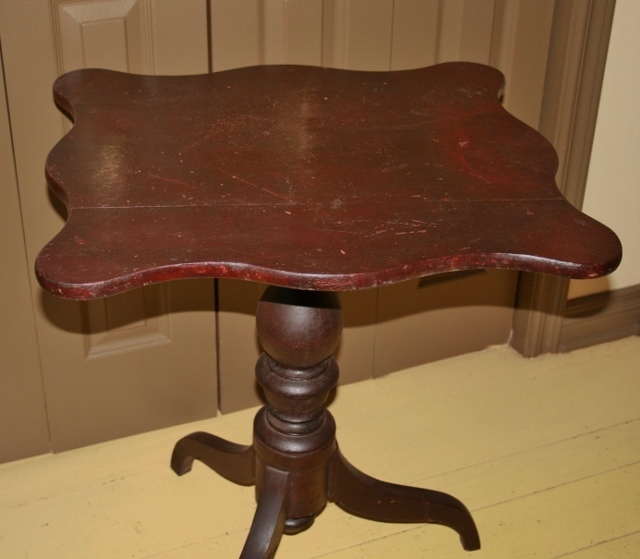 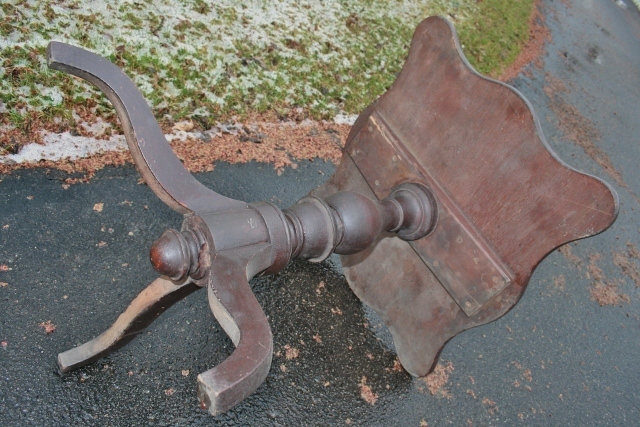 This table is from the original homestead in Wellington County and dates 1830-1850. 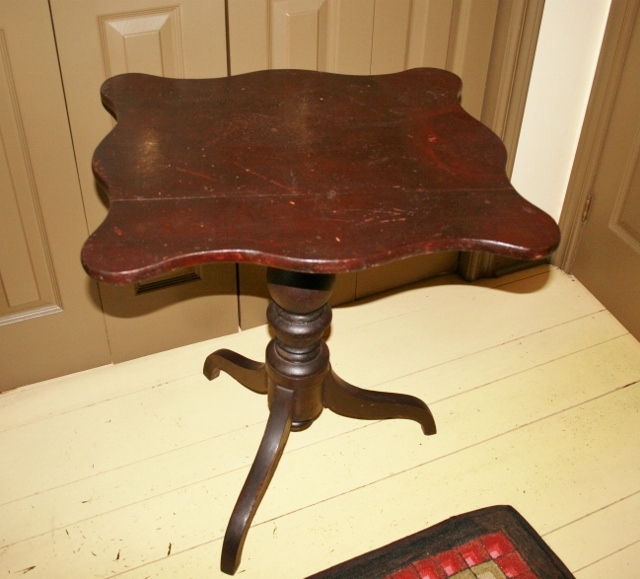 It is in 'as found' condition with the original alligatored surface, pleasing scalloped edge on the two board top with a nicely turned and very sturdy base. 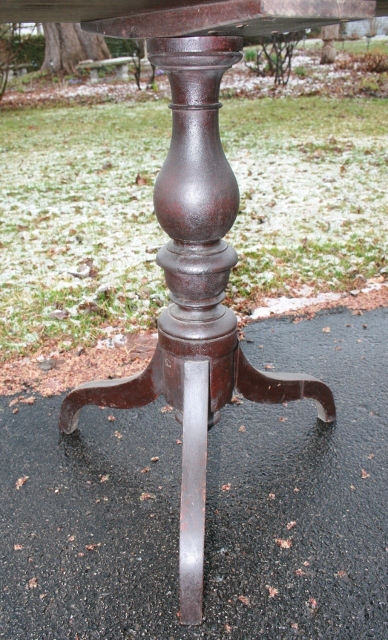 Measurements - top - 24 1/4" x 21 1/4" height - 27 1/2"